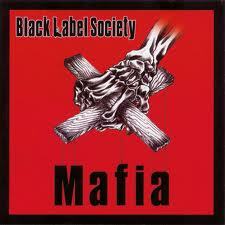 Zakk Wylde finally put it all together with Black Label Society in 2005 for Mafia. Sure, the band had never released a bad record to that point, but the songs, the mix, everything was just right for Mafia. Led by the charging rock of the opening single “Suicide Messiah” and the catchy hook of the main riff of “Fire It Up,” the record was a stark contrast to the mostly acoustic Hangover Music, released just a year before. There were mellower moments, as well, though, most notably the ballad “In This River,” which Wylde dedicated to Pantera guitarist “Dimebag” Darrell Abbott. Mafia made a promise that 2006’s lackluster Shot to Hell couldn’t keep, and it wasn’t until 2010’s outstanding Order of the Black that the band got back on track. 3. Kiuas, The Spirit of Ukko. I was floored by the debut from Finland’s Kiuas. It blended elements of power, folk, traditional and even death metal in a collection of heavy, melodic and memorable tunes. Their output since then has been up-and-down, but this one remains a favorite. 4. God Forbid, IV: Constitution of Treason. This concept record from God Forbid showed a more mature band that was more willing to stretch their sound. There’s still plenty of bashing rage and guttural roars, but there was also a more progressive and melodic bent. To me, it’s their best work. 5. Shooter Jennings, Put the O Back in Country. After trying to make his way as a rocker in the 1990s, Shooter returned to country for this debut album. 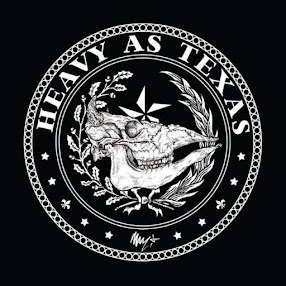 Though, for me, not as good as the follow-up Electric Rodeo, this record offers a great mix of traditional country and Southern rock sounds. 6. Bruce Dickinson, A Tyranny of Souls. Another fine solo outing from Dickinson, as his records continue to be more impressive than Iron Maiden’s output. 7. Sentenced, The Funeral Album. A lot of Sentenced fans didn’t like this record. I love it. Plenty of great, catchy songs. 8. Exodus, Shovel Headed Kill Machine. For many people 2004’s Tempo of the Damned was Exodus’ comeback record, but for me it’s Shovel Headed Kill Machine. This was a meaner and nastier Exodus with the more aggressive Rob Dukes up front. 9. Soilwork, Stabbing the Drama. While not as good, to me, as Figure Number Five or the excellent Sworn to a Great Divide that came a few years later, Stabbing the Drama is still a nice piece of melodic death. 10. Nevermore, This Godless Endeavor. Though it was one of my favorite records that year, my love for this one has faded a little since. It’s still a great record. 11. Opeth, Ghost Reveries. Similar to the Nevermore album above, I’ve found myself liking Ghost Reveries a little less than I initially did, but just about any Opeth record is still better than most stuff coming out that year. 12. Corrosion of Conformity, In the Arms of God. For me, this record is still a little hit and miss. The songs that are good are really good, but there are a few that seem like filler, too. 13. Judas Priest, Angel of Retribution. A good workman-like effort from Judas Priest. Nothing groundbreaking or jaw-dropping, but solid songs. It’s Priest through and through. 14. Brand New Sin, Recipe for Disaster. I had high hopes for Brand New Sin after this Southern-flavored hard rock debut. Sadly, they never lived up to them. This remains the band’s best effort. 15. Overkill, RelixIV. This record deserves mention for “Old School” alone, but there are plenty of other good songs here. Not as strong as 2010’s Ironbound, but great nonetheless. Other notable releases: Billy Idol, Devil’s Playground; James LaBrie, Elements of Persuasion; Chris Caffery, WARPED; Circus Maximus, The First Chapter; Kamelot, The Black Halo.